I’ve come to the end of the recording phase of the PiLC lecture capture project, and will move next semester into gathering and analysing the research data, most of it coming from the students. All lectures were captured with Adobe Connect and simple audio (mp3). In addition, the final session in both were also captured with OpenEYA. As I said in my earlier post, OpenEYA seemed to have a glitch with the microphone. I kept in touch with the Science Dissemination Team at the International Centre for Theoretical Physics – they developed the software – and we established it was a clash with the latest version of Linux’s Ubuntu (v. 11.10). They managed to release an updated version of OpenEYA several weeks ago, and I was able to trial it for the last two lectures. It worked brilliantly. All I used was a very old notebook running Ubuntu, two HD webcams, and a Samson CO3U microphone. Ubuntu was very stable, and the processing of an hour of recording caused no problems. For me, three things spring to mind at this stage of the project. First, if I were looking to introduce campus-wide lecture capture from scratch, I would give the Linux/OpenEYA option very serious consideration. 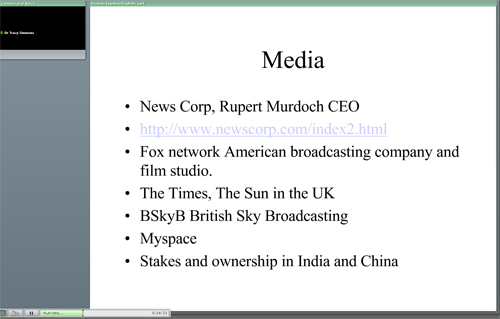 Second, lecture capture is about compromise, as you can’t anticipate differing lecture styles. My colleague in Chemistry doesn’t stay still for more than a few seconds, so having a camera on him is pointless. Third, and moving on from this, I feel that complicated capture is probably unnecessary. In most cases, an mp3 recording to accompany the PowerPoint slides uploaded to the VLE will be enough. However, this final assumption and others will be investigated when we return after the break. With my colleague Denise Sweeney of the Academic Practice Unit here at Leicester, I was recently awarded a small sum of money to run an internal project called Pilot in Lecture Capture (PiLC). My interest in this area comes directly from my membership of the ViTAL SIG and the excellent one-day conference on lecture capture (LC) organised by ALT in June 2011. Returning inspired, I was surprised to find there were no facilities for LC here at Leicester. Talking with colleagues in AV, it was clear there was a need for more institutional information about this simple use of technology. PiLC looks at two LC technologies: Adobe Connect (the 2007 version) and OpenEYA. Leicester has a Connect server, although this technology is greatly underutilised on campus. OpenEYA is an open source LC platform developed for the International Centre for Theoretical Physics that runs on Linux. Connect allows you to record a full screen capture (i.e. 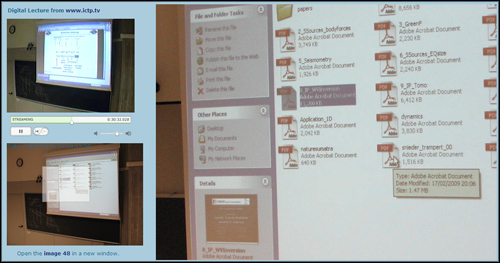 whatever is happening on the lecture theatre PC) and webcam (if used). It’s simple and stable, and the link to the recording can be added to a Blackboard course site. 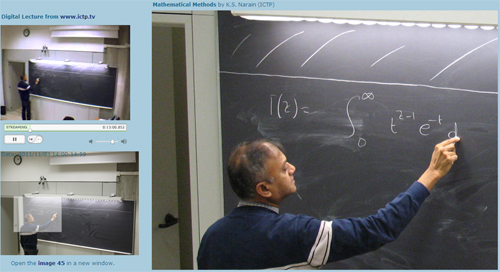 OpenEYA can also do screen capture, but its real strength lies in being able to direct a webcam onto a traditional blackboard (which physicists love), taking a snapshot (jpg) every few seconds and then using the Java-driven zoom applet to focus on specific parts of the image. This recording shows the LC strengths of OpenEYA (it works best in Internet Explorer). Move along a few minutes and try the zoom – it’s amazing. Two academics kindly agreed to take part in PiLC, but I could’ve have recruited many more, such is the interest in LC. I have started capturing 5 postgraduate lectures in Media and Communication (40 students) and 5 undergraduate lectures in Chemistry (100 students). The second part of PiLC will happen in semester 2. This involves using focus groups, questionnaires and semi-structured interviews to ask the students what they thought of the captured lectures, how they used them, and so on. The two lecturers will also be interviewed about how LC affected their courses (better marks, lower attendance levels, etc.). Denise will take the lead in this part of the project. So why lecture capture in the first place? 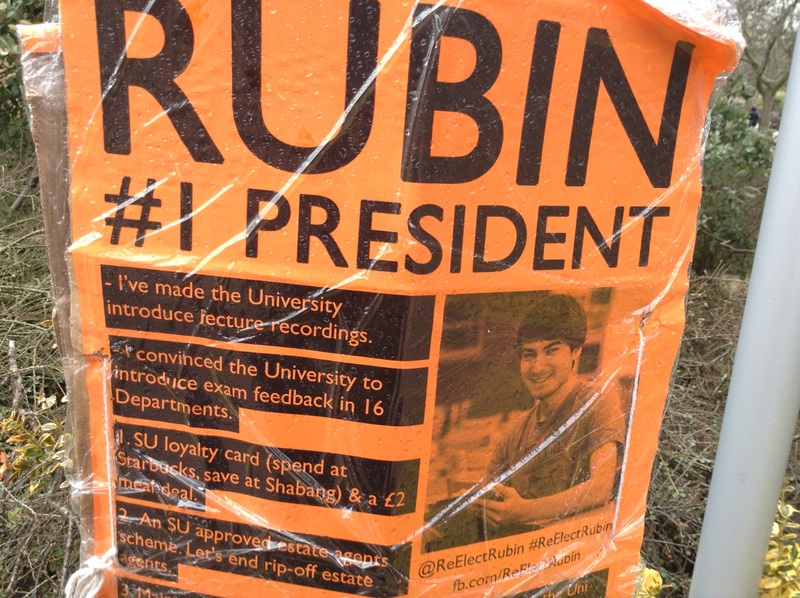 Well, my reasoning – which is far from original – is that anything that benefits the student learning experience is important for a university, especially in the new HE world of very high fees. And if that university continues to use the traditional lecture as the mainstay of its teaching programme, how can it justify NOT making those lectures available throughout the length of a student’s course. Once the lecturer has finished and left the theatre, that learning resource leaves with her. The technology is simple and not a barrier, although clearly other barriers exist (e.g. cost). I’ve seen no evidence that attendance levels at lectures will fall. Yesterday (16 June) I travelled to Queen Mary, University of London, to attend a one-day event called ´Lecture capture – doing it well and at scale´put on by the Association for Learning Technology (ALT). As someone who knew virtually nothing about either the technology or pedagogy behind LC, I found the day to be tremendously useful. In the morning session, Eoin McDonnell and Kris Roger – both senior learning technologists – told us about their experiences of scaling up LC at Queen Mary and LSE respectively, and I heard about some unfamiliar technology such as Echo360. From an academic perspective, Neil Berry of the Department of Chemistry, University of Liverpool, outlined a HEA-funded LC project that was having a significant impact there. One of the revelations of the day was provided by Dr Marco Zennaro and Dr Enrique Canessa of the International Centre for Theoretical Physics (ICTP). The centre had commissioned a bespoke, open source, automated LC system called openEyA. Even taking into account my ignorance of LC, the demonstration seemed to show a very powerful and customisable application. And the fact that EyA (Enhance your Audience) is free and runs on Linux’s Ubuntu OS (itself open source) makes it a very attractive option, at least for a pilot study of LC. A decent HD webcam and a laptop with a good external mic is all that’s needed to capture the lecture. Thus far, ICTP have available over 7,000 lectures to watch. In the afternoon session, Juliet Hinrichsen and Amanda Hardy told us about their experiences of setting up LC at Coventry University, and pointed us towards the excellent resources hosted at JISC-funded ELTAC (Support for Lecture Capture) website. These are a must for any HEI thinking of going down the LC road. The pedagogical justification for LC was provided by John Conway (Imperial College London) and Clive Young (UCL). Admittedly a whistle-stop tour, they nevertheless managed to convey enough in 20 minutes to convince me of the efficacy of video in teaching and learning (of which LC is simply a part). Like me, John and Clive are members of the ViTAL (video in teaching and learning) special interest group. Intellectual property rights in LC was covered by Graham McElearney in the final session, but I was unable to attend this because of train connections. It is a reflection of the great service offered by Seb and everyone else at ALT that the need for this event was established by following discussions in the Members List some months ago. In the end, the event was oversubscribed. I learned many things on the day. For example, lecture capture might refer to audio only, or audio with a screen cast, or a fully videoed lecture hall podium that captures the lecturer, blackboard, PowerPoint slides, etc. But one thing that came over very clearly from all the presenters was that students love captured lectures – and are demanding more. No one could point to a decline in attendance in lectures. Rather, the students were being highly discerning in choosing which part of a lecture to watch again, and found them particularly useful as revision aids.